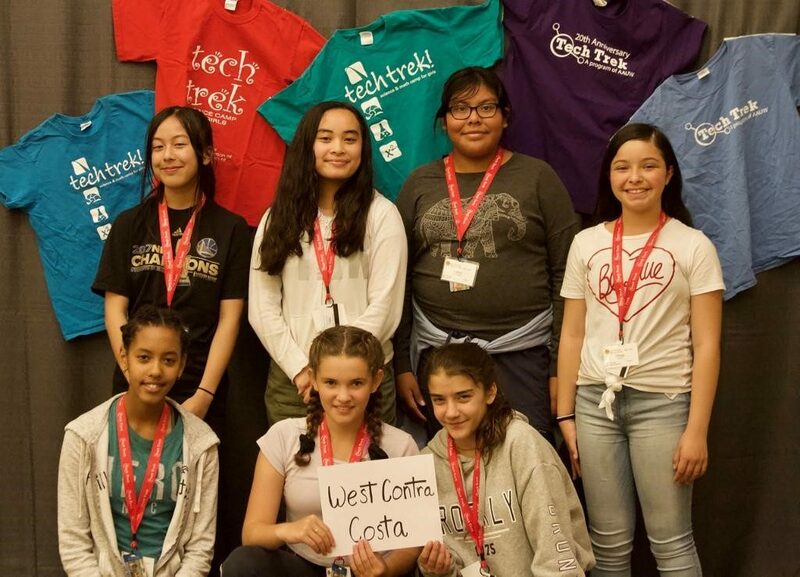 Tech Trek is a science and math camp designed to develop interest, excitement and self-confidence in young women who will enter eighth grade in the fall. It features hands-on activities in math, science and related fields. All sleeping, eating, instructional and recreational facilities are on a university campus. AAUW branch members select talented campers by working with public middle schools in their area. AAUW West Contra Costa Branch provides eight scholarships. Each nominated student completes an application, writes an essay and is interviewed with a parent. Selected students attend the Tech Trek camp at the Sonoma State University. Tech Trek is designed to provide every camper with exposure to all core subjects taught, as well as a selection of rotating labs designed to explore individual specialties more deeply. Hands-on activities in core classes, rotating labs and field trips at Tech Trek camps help to make math and science fun as well as educational. The middle school years is a critical time for removing stereotypes about girls’ abilities and building the positive self-assessment. The Tech trek experience for the girls is often life-changing. Instructors include credentialed middle school teachers and women currently engaged professionally in math, science or technology fields. Campers will be exposed to evening programs in fields such as astronomy, engineering, marine biology, and environmental studies to enhance the learning experience and introduce students to a variety of potential career areas. AAUW member volunteers serve as counselors, nurses, classroom aides, and fill in as needed.